My dad and I watched a program on KLRU this evening called Uranium – Twisting the Dragon’s Tail. 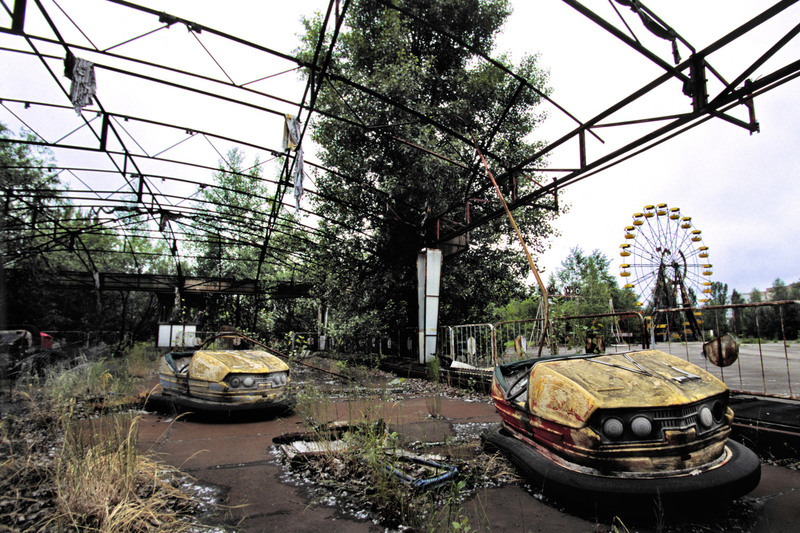 It featured a segment about Chernobyl, a city abandoned after the most disastrous single nuclear event in history. 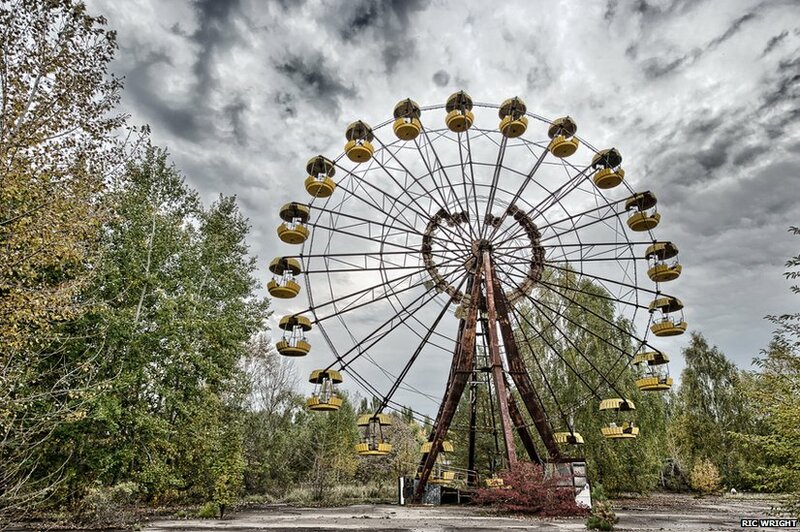 Pripyat Amusement Park was completed just prior to the Chernobyl disaster and never opened to the public. I love these haunting images of the abandoned carnival. I spent the day with my very favorite person. 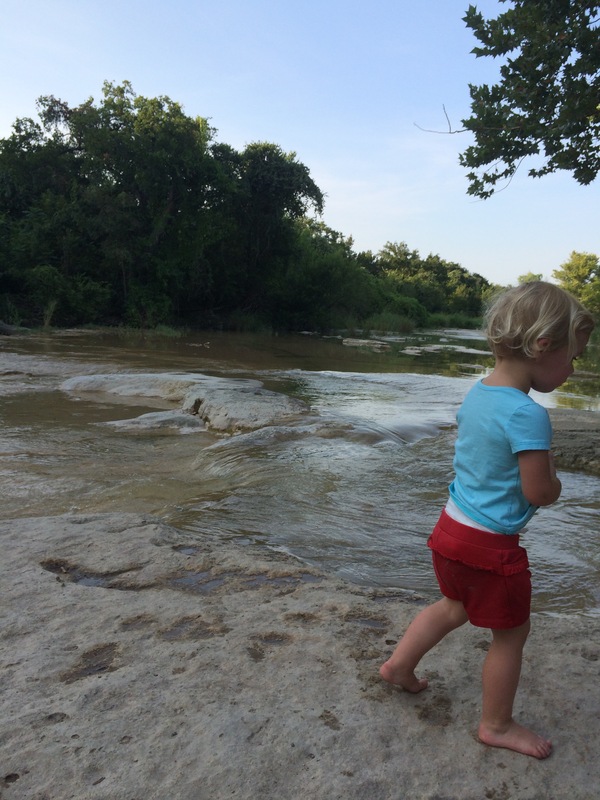 We stopped by Amy's for ice cream and then went hiking and swimming along Bull Creek. Autonomous weapons select and engage targets without human intervention. They might include, for example, armed quadcopters that can search for and eliminate people meeting certain pre-defined criteria. Artificial Intelligence (AI) technology has reached a point where the deployment of such systems is — practically if not legally — feasible within years, not decades, and the stakes are high: autonomous weapons have been described as the third revolution in warfare, after gunpowder and nuclear arms. I mentioned The Really Big One after reading about the Cascadia subduction zone a few weeks ago. Kathryn Schultz put together a fascinating report for The New Yorker on the seismic history and future of the Pacific Northwest. Not surprisingly, this caused some alarm among readers in the region. This week she published a follow-up, How to Stay Safe When the Big One Comes. The audio below contains the often referred to speech by Charlie Munger on the psychology of human misjudgment given to an audience at Harvard University back in 1995. In his speech, Charlie talks about some of the different kinds of human misjudgments that he has encountered through his life. Walking through a forest is the best way I know to improve my mood. Several studies to understand how and why have recently been published. These results “strongly suggest that getting out into natural environments” could be an easy and almost immediate way to improve moods for city dwellers. How Walking in Nature Changes the Brain, New York Times. Something deep within us responds to the three-dimensional geometry of nature. How Trees Calm Us Down, The New Yorker. I had the good fortune of attending a screening of The Stanford Prison Experiment, followed by a Q&A with Director Kyle Patrick Alvarez and Stanford University Professor Dr. Philip Zimbardo. In 1971, Dr. Philip Zimbardo cast 24 student volunteers as prisoners and guards in a simulated jail to examine the source of abusive behavior in the prison system. The results astonished the world, as participants went from middle-class undergrads to drunk-with-power sadists and submissive victims in just a few days. The acting was superb and the director did a great job eliciting the emotional tone of the experiment. Zimbardo is a highly controversial figure, so it was not a surprise when the first question came from an audience member asking how he could live with himself and stating he should have been fired. As she stormed out in disgust, a woman who identified herself as a black panther gave a monologue of praise for his study. The emotionally-charged controversy of The Stanford Prison Experiment continues, even after more than 40 years. Was the study about our individual fallibility, or about broken institutions? Were its findings about prisons, specifically, or about life in general? The Real Lesson of The Stanford Prison Experiment is an interesting look at this controversial study from The New Yorker. One of my favorite hikes in Marin County is this quick and easy loop around Ross creek and Phoenix lake. This relatively flat 3-mile loop is a great choice for any level, and particularly wonderful for trail running. The light yesterday was incredible so I spent most of the hike trying to capture the magic of the route. I love trees!! Steve McQueen and Kanye West collaborated to create a short film for West’s songs “All Day / I Feel Like That.” The film is 9 minutes, shot in one take at a historic dockyard outside of London. It will premiere as a pop-up installation at LACMA from Saturday, July 25–Tuesday, July 28, 2015. If you're in Los Angeles on Saturday, definitely stop by LACMA for this and the 24-hour screening of Christian Marclay's The Clock. MCQUEEN: How do you approach the visuals? The biggest slavery that we have is our opinion of ourselves. A fascinating look at Bolt Threads, a company that has engineered synthetic spider silk for industrial production. Chic. Spider silk, like all silk, is a type of protein. The material is highly valued not only for its famed strength but also because natural spider silk comes in a variety of forms. Each spider spins about seven different types of silk. They produce an incredibly soft variety for egg wrapping; another type, called flagelliform silk, is incredibly stretchy like spandex. These varieties have evolved for spiders’ specific ecological needs, and also happen to be qualities we’d like in our clothing, too.